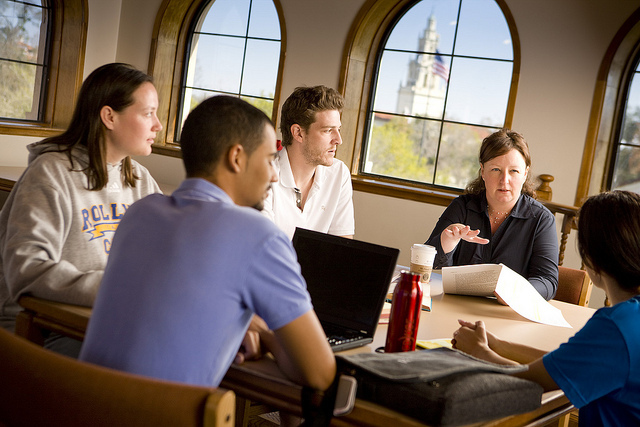 The library works closely with the Office of Accessibility Services to ensure that the needs of all students are met. This page includes services and materials that are of particular use to our patrons with special needs. Several of our online resources have accessibility options. 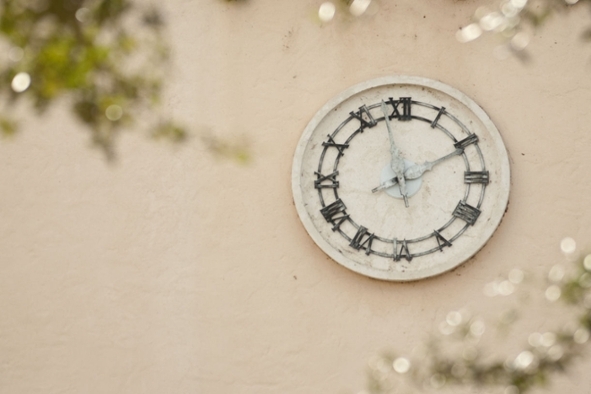 Credo - Credo features a "Listen" feature that will read articles aloud. EBSCO - Ebsco databases feature a "Listen" feature, which will read articles aloud. Kanopy - Many Kanopy videos are captioned. If you find one that doesn't have captions, Kanopy will respond to caption requests within two business days. The library has noise canceling headphones available for checkout. You can see what we have available by checking R-Search. The library has a suite of assistive software available on computers on the 1st and 2nd floor. Computer #1 in the Reference Area has Dragon (speech recognition software), FS Reader (a player for DAISY books), JAWS (a screen reader), and MAGic (a screen magnifier) installed on it. Priority use of this workstation is for patrons needing the assistive software. One of the computers on the 1st floor has Dragon installed. 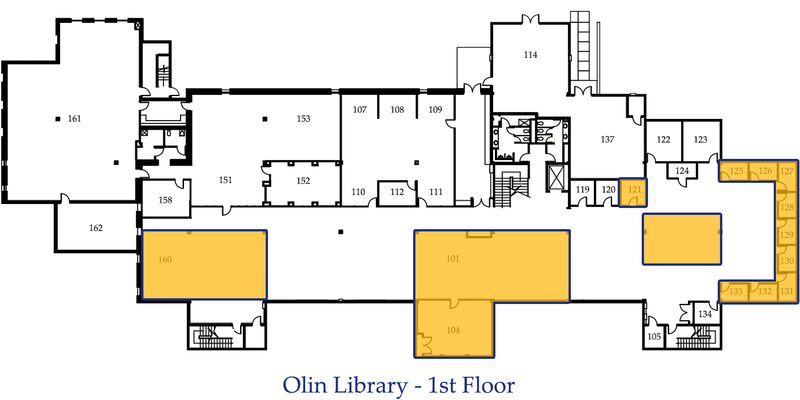 The Olin Library is committed to providing safe and convenient access to facilities and services for all students, faculty, and staff, and abides by the spirit of the Americans with Disabilities Act. Library faculty and staff make reasonable accommodations for college-affiliated persons with disabilities to assure they have equal access to library services and resources. Non-college affiliated patrons are provided reasonable accommodations within existing service parameters as stated in the library policies. Patrons with disabilities are asked to notify library staff of their special needs. 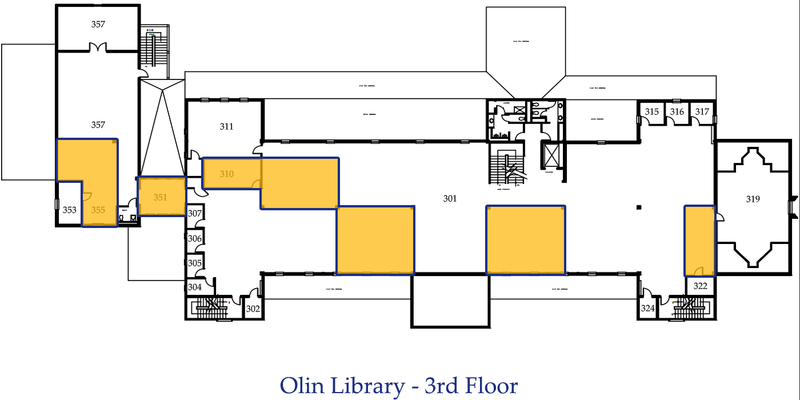 The 3rd and 4th floors are designated as quiet areas. 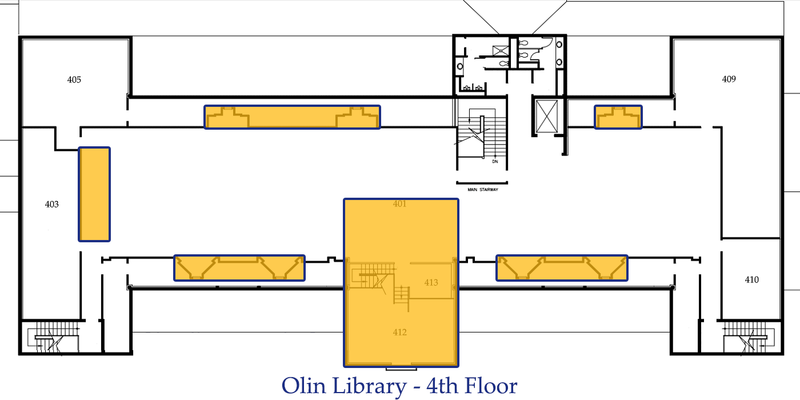 Study rooms are available on the 1st and 3rd floors. 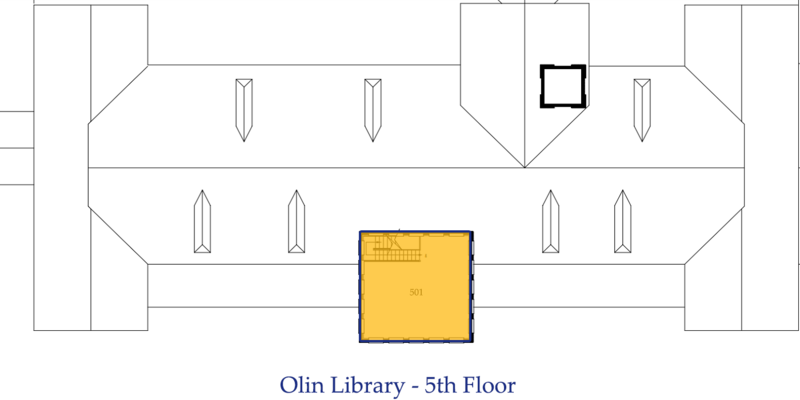 If you need help locating or accessing these rooms and areas, or encounter patrons making too much noise in a quiet area, feel free to contact a library employee.